Forget the hassle of manually organizing school store volunteers with paper sign-up sheets and 'reply-all' emails! Quick sign-up and manage all your school store helpers with free online sign-ups and scheduling tools from VolunteerSpot. Stock up early and often for those school store goodies that go fast like traditional basics including pencils, erasers, and notebooks. Consult teachers as well, as they have their finger on the pulse of what school stuffs students love to use in the classroom. And schedule regular inventory checks by parent volunteers too to keep a sustainable and transparent profit margin. Tell your school community about the school store both online and off. Post hours and merchandise options on your school’s website, in eNewsletters and on social media. Also put up posters and signs within the school itself to draw attention from parents, staff and students walking the halls. Integrate student rewards and volunteer opportunities into how your school store runs throughout the year! 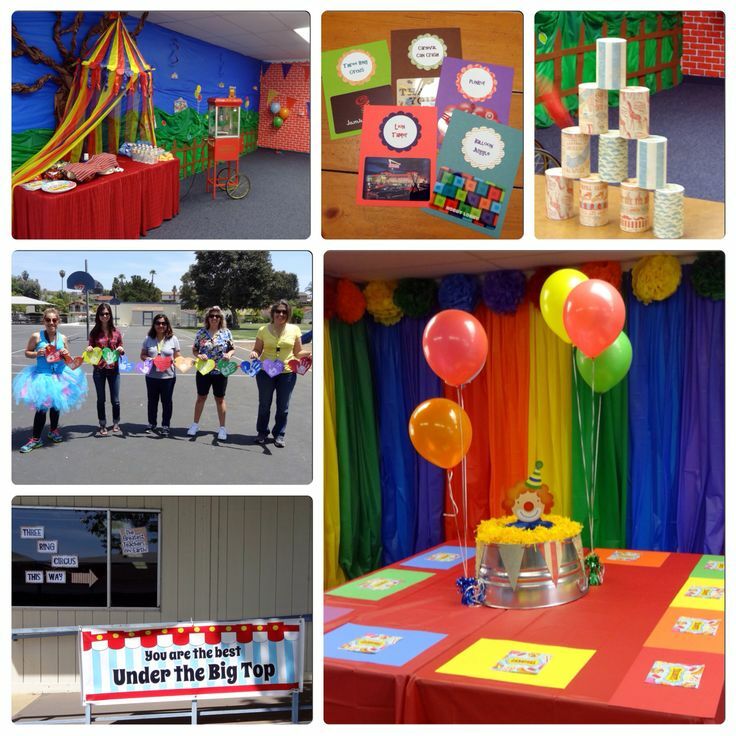 Kids will love seeing their friends behind the booth and can bring an uplifting energy to operations. Encourage teachers to hand out coupons for free school store items for top grades or the chance to volunteer there for an afternoon. Advertise special deals or new merchandise on the morning announcements. Make sure to stock up on spirit wear before pep rallies, and include limited quanitities of novelty and holiday-themed items throughout the year that students will want to get their hands on, i.e. Halloween pencil toppers, school t-ishirts, etc. Teacher Appreciation Week is just around the corner - is your school ready? Plan ahead with these 5 fun resources! Click here to reserve your free spot! Join us for a fun webinar and learn how to simplify Teacher Appreciation Week planning, how to find fresh teacher celebration ideas, and how to get more school parents involved in the week’s festivities! 1. An easier way to get involved: School parents are busy, 'nuff said. Engaging them effectively means schools need to reach them on their smartphones, tablets and social media channels. Gone are the days of paper sign up sheets in the classroom and mind-numbing reply-all email chains. 2. A variety of jobs & times to help: Want to get more school parents involved in the classroom? Give them an array of ways to help! Some parents like a simple "pick up 24 chocolate cupcakes for the class party" task while others are looking to use their artsy side and help make cut outs for the bulletin board. Is their a community garden that needs some green thumbs? 3. A way to help from home: Making it into the classroom just isn't feasible for some working parents who still want to pitch in - offer ways for parents to help from home that keep them engaged with the classroom. They can update the school's facebook page, classroom blog or school website. 4. Appreciation: Parent volunteers don't do it for the recognition but a little goes a long way! A simple thank you from the room mom, a hand-written note from the principal or even a yearly luncheon are great, easy ways to say thanks and show parents how much their help means. Get More Parents Involved in School Next Year . . . Now! 2. Social Media: Before school wraps up and parents forget, encourage them to follow the school or parent-teacher group on facebook, twitter, pinterest etc. Ensure they receive updates over the summer from your school and are ready for news, volunteer sign ups and plans come back to school time. 3. Volunteer Appreciation: Give your school parents who pitched in, helped out and contributed this school year some special recognition before the year is out. A handwritten thank you note, shout out on your school's website/social accounts, or even a volunteer appreciation party helps your parents know their efforts were truly appreciated and encourages them to join in again next year. 4. Hold a Social: A final community event of the year like an ice cream social or movie night gives your school families one great final bonding moment and a chance for staff and teachers to once again express their appreciation for a wonderful year (and vice versa). Those memories will last well into summer and leave parents on a positive note to begin the next school year! 1. Connect with your room parent. Be prepared with what to expect and communicate with your room parent to clarify when and where you can donate/help. If there is a daily expectation of parents, i.e. bring in a flower on Monday, potluck dish on Tuesday, small gift on Wednesday, etc, be ready and leave reminders for yourself on the fridge, the mirror, your phone, you name it! 3. Know the rules. 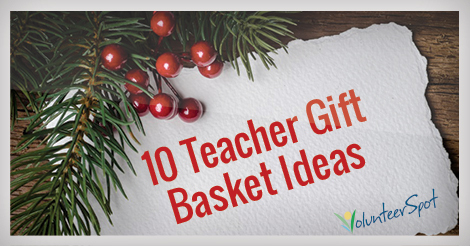 Don’t get caught in a PTA kerfuffle; know the teacher gift rules before you go shopping. Is there a dollar limit you should be aware of? Are gifts to be given on a certain day of the week? 5. Involve your kids. Ask your child to draw a picture or write a personal note about what she loves best about her teacher. Your child’s input will wipe away any stress that might come with contributing to Teacher Appreciation Week. Choosing a cooperative preschool for your family? You’ll be making a great choice for you and your children as you are introduced to a truly collaborative learning environment. Coops are known for their strong sense of community and family bonds that are built during the preschool years. While traditional coops require additional hands-on parent involvement, they provide a wealth of opportunity spending time with children in the classroom working side by side with the teachers. Coop parents love this glimpse into their child’s new world! Successful coops are a happy blend of parents, teachers, and children working together. Sustaining a well-oiled coop machine and cohesive parent community can be difficult, however, as participating families come and go year to year (yes, one day your child will go to kindergarten!). Relying on volunteers for hands-on support with school functions while finagling differing personalities and new input into how to operate and organize, well, let’s just say maintaining harmony can sometimes be a challenge. Strong Foundation: Does your board have bylaws? It is a good idea to dust these off every year and ensure they are still applicable, current, and in line with your school’s mission. Leadership: Does your executive team serve 1 or 2 year terms? To maintain continuity, consider 2 year roles for executive positions with overlapping terms to avoid starting from scratch each year. Effective Committees: Create committees that will best serve your school, maintain classroom and school operations, and be enjoyable for your parent volunteers. Popular committees include: Teacher/Staff Relations, Development /Fundraising, Family/Community Events, Public Relations, Facility Management, Membership, Health & Licensing. “Vices” & “Elects”: Establish your leadership roles with a successor in mind. Many organizations have “vice” or “elect” officers shadow and support the current officer and move into the title role the following term. Keeping consistency at the board and committee level will help ensure there are no gaps or steep learning curves to overcome. Talk to the Parents: Ask parents what they are interested in – poll parents at the beginning of each school year to learn about interests, hobbies and skillsets. Ask parents to rank their top 5 assignments – this makes it easy to place volunteers in activities they enjoy! Committee Assignments: Don’t burn out your hard workers by continually asking the same parents for their leadership. Many coops require that all parents serve on a committee as part of their obligation to the school – this is a great way to rotate leadership and get everyone involved. Free online signup sheets make it easy to help parents express interest in the committees they would like to be a part of. With computer and mobile access, VolunteerSpot’s free scheduling tools and committee picker get more parents involved; and automated reminders keep everyone on track! Set Expectations: Be sure to let your volunteers know what they are getting into! Keep job descriptions up to date, and discuss goals, objectives of the committee, and anticipated time commitments in advance. Document and Organize: A necessary evil that luckily is made much easier in the digital age. Ditch the dreaded, out of date binders and turn to time-saving online resources – like Dropbox or Google Docs – to save on money as well as paper! You’ll be able to prescribe which members have viewing access and which members can make changes to your documents. Embrace technology: Preschools today have access to an amazing number of free resources that can help make board and committee responsibilities more efficient. Be sure to check out free online signup sheets and mobile apps from VolunteerSpot to get your parents organized, collect contributions and make your committee planning a breeze! Board Bonding: We all enjoy working with people we know – don’t wait for school to start to get to know one another. Consider a board retreat several months in advance of the school year for planning AND to build camaraderie between members. Carving out large chunks of time can be difficult so summer planning playdates can also be effective and fun for kids. Preschool is a magical time and coop organizations let you play magician. Your participation in school committees and volunteer efforts ensure the success of the school and the students. Following a few best practices can make it enjoyable and successful for all – now and in the future. 5 Great Tools to Get your School Parent Group Organized! Apps & Websites to Power Your PTA & PTO! 1. Dropbox: Share important documents, pictures, videos and files in the cloud with Dropbox! Free up to a certain amount of memory, Dropbox lets parent leaders upload and share files with the click of their mouse or tap on their screen phone; field trip permissions, spring carnival check list, volunteer orientation documents - you name it, you can share it! 3. Hootsuite: Is your school resolving to be more 'social' this year? It's easy with social update scheduling tools from Hootsuite! Share online sign up links, fundraiser news, classroom updates and more on twitter with Hootsuite as well as catch a feed of twitterers you follow in addition to trending topics and hashtags you're interest in, i.e. #ptchat. 5. Trello: Project management is a breeze with the comprehensive but simple-to-use Trello tool. Set up To Do lists, tasks, reminders, alerts and even share important documents with fellow school leaders and parent volunteers; great for planning big fundraisers, ongoing school campaigns and more. Join VolunteerSpot's School-Parent Liasion, Jennifer DeFranco for a fun, insightful webinar that will help you grow your parent community, build participation, boost fundraising profits and spark action! Every PTA leader is only as effective as the tools s/he brings to the table. Learn free tech tools that save time, boost parent participation and fundraising, build accountability, spark action and grow community. Learn effective tactics for using free power tools like VolunteerSpot, Google Forms, Dropbox, Donors Choose, Facebook, Twitter and Pinterest.